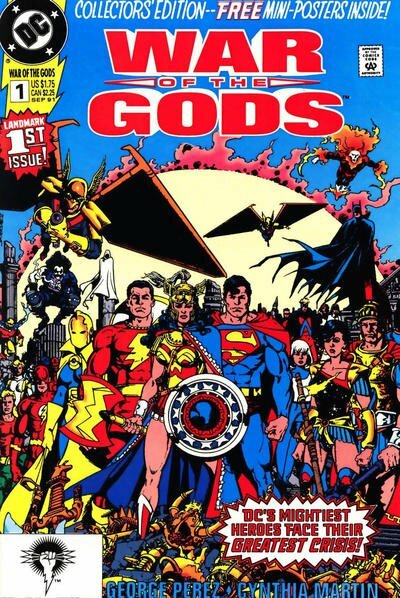 Click Here To See War of the Gods #1 Comic Book! 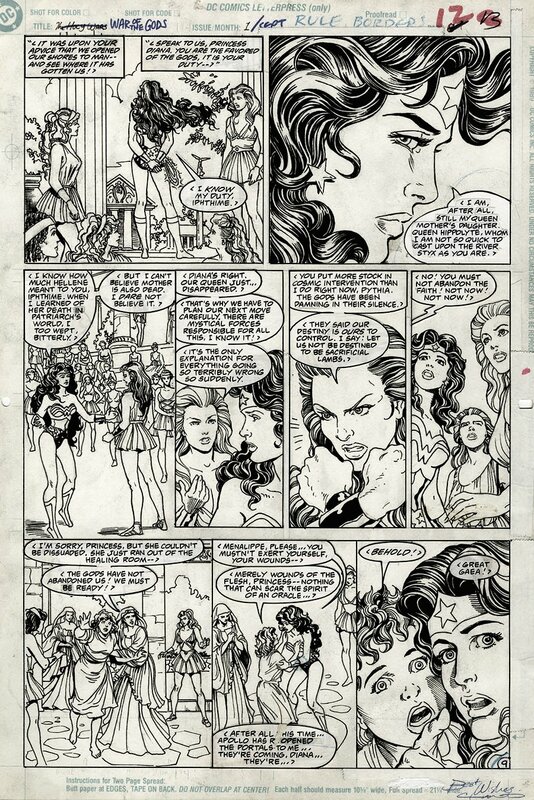 Wonder Woman meets with her companions on Paradise Island in this George Perez/Cynthia Martin art from the first issue of the War of the Gods series, appearing in 7 of the panels. George Perez is one of the artists most closely associated with Wonder Woman in the Modern era, having been responsible for her 1987 reboot in the post-Crisis era. Wonder Woman has long had a devoted collector following, and the new movie appearances have made her art RED HOT! ALL art on our website (including this one) are able to be purchased with VERY fair time payments, and trades are always considered towards "ANY" art on our website! Just send us an email to mikeburkey@aol.com and we can try to work something out.